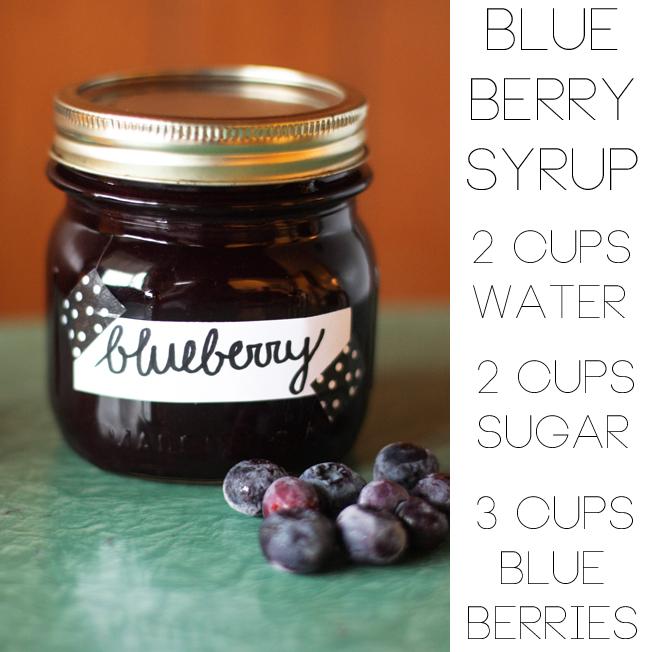 I love making simple syrups because they have so many uses! I use them when making cocktails, coffee and tea. 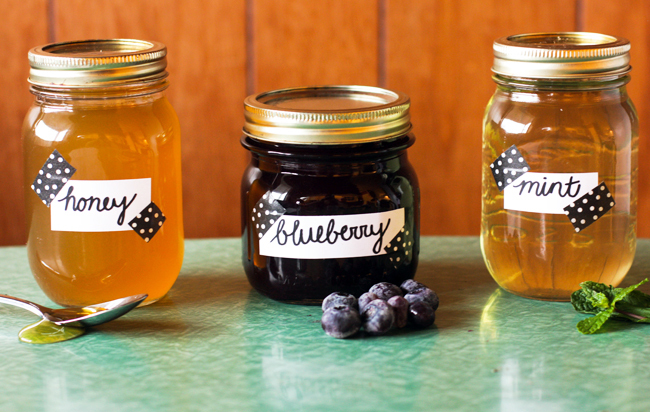 Depending on the type, homemade syrups can last up to 6 months when stored in an airtight container in the fridge. They also make great little gifts! I made an extra jar of mint syrup to give to my mom :). If you want to make larger or smaller batches, just remember the sugar to water ratio is 1:1. Easy! I decided to use two cups of sugar and water because it was the perfect amount for my standard mason jars. 1. In a small saucepan, bring water and sugar to a simmer. Add blueberries (fresh or frozen). 2. Bring to a slow boil, and let cook for about 5-10 minutes. I used a whisk to press the blueberries, helping the juice and flavor to be released. 3. Let cool for about 15 minutes, and strain blueberries out of mixture. 4. Place syrup in an airtight container and refrigerate. 1. In a small saucepan, bring water and sugar to a simmer. Add mint leaves. 2. Bring to a slow boil, and let cook for about 5 minutes. Reduce heat and let simmer for another few minutes. Let cool for about 10 minutes. 3. 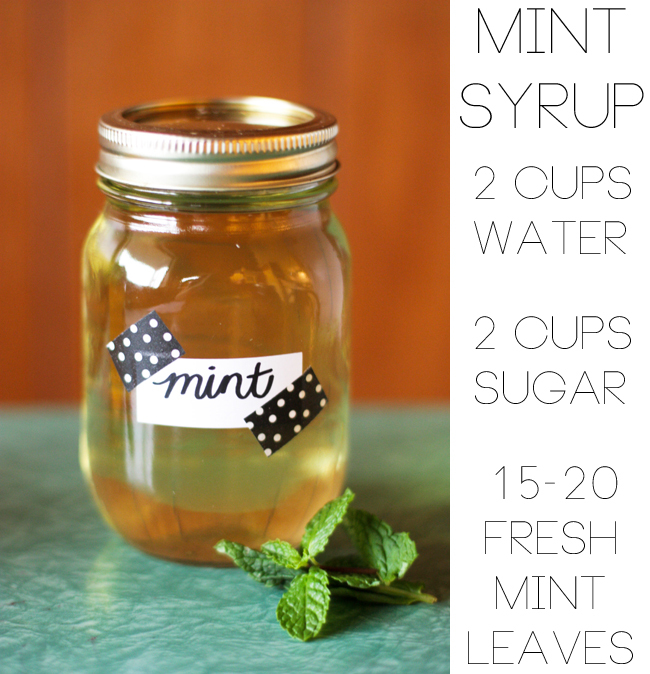 Strain mint leaves, and transfer syrup to an airtight container. Refrigerate. 1. 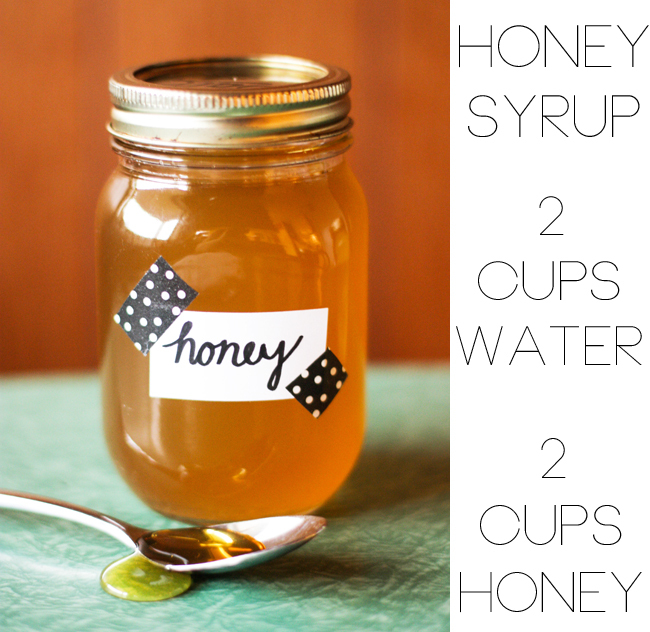 Simmer water and honey for about 5 minutes, or until honey has fully dissolved. 2. Transfer to airtight container and refrigerate. I'm definitely trying these! I have only ever had basic simple syrup. Yum!